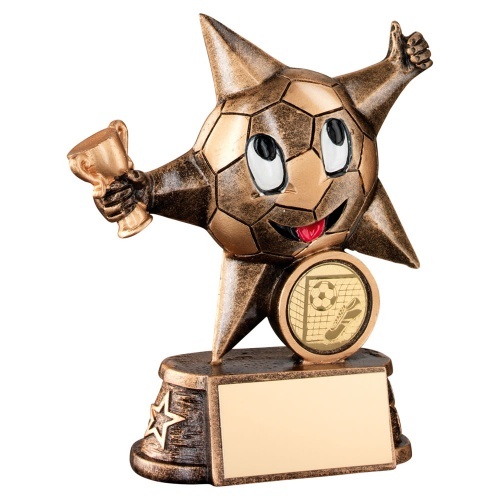 Novelty football trophy crafted in resin with bronze and gold colour finish. Featuring a star shaped comic figure holding a trophy. Includes a 1in football centre, set on a base with engraving plaque. Available in two sizes, offered with engraving options.